Why would you ever want to leave Plymouth, MN? It is perennially one of the top cities of its size in the U.S. Beautiful lakes, parks and neighborhoods make Plymouth the type of place you want to settle in and raise a family. If your home provides less space than you would like, call Bannochie Builders, Inc. for a Home Addition that can transform a small home into something wonderful. We are a Local and Family Owned Company as well as an Experienced Licensed Contractor. As a Licensed Contractor for 20 years Bannochie Builders, Inc. has seen just about everything. Our team of skilled carpenters, designers and builders can help you with every step of the process of adding onto your home. Projects can run the gamut from a cozy Porch Addition to an Entire Second Story Addition. Working with an experienced Locally Owned company means that there are plenty of testimonials and photos from satisfied clients. 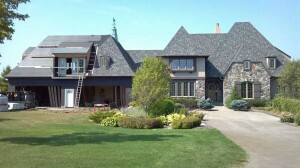 Bannochie Builders, Inc. is a Family Owned Company that takes pride in our workmanship and ability to help Minnesota homeowners to build their Dream Home. What type of Home Addition can you imagine for your Plymouth, MN home? There is no need to leave your existing home when a home renovation or room addition can make you love it once again. With the help of a skilled contractor your home can be customized to suit your style and specifications. The addition of a Master Bedroom Suite, Additional Bedroom, Formal Dining Room or Spacious Gourmet Kitchen can coordinate seamlessly with the existing architecture of your home. If you are dreaming of something completely different than your current home’s style – Bannochie Builders, Inc. can help you with that too. We love to help area homeowners create a space that fits their family and budget perfectly. Bannochie Builders, Inc. is a Local and Family Owned Company with integrity and pride in workmanship. As a Licensed Contractor, we are able to help Plymouth, MN area homeowners to customize their home with a beautiful new addition. Our experience in the home remodeling industry gives us the skills needed to transform your home into one that suits for budget, style and family perfectly. Contact us today for a Free Estimate on Room Additions or Home Renovation. This entry was posted	on Sunday, April 26th, 2015 at 2:56 pm	and is filed under Home Addition. You can follow any responses to this entry through the RSS 2.0 feed. You can leave a response, or trackback from your own site.